WHAT A DEAL! 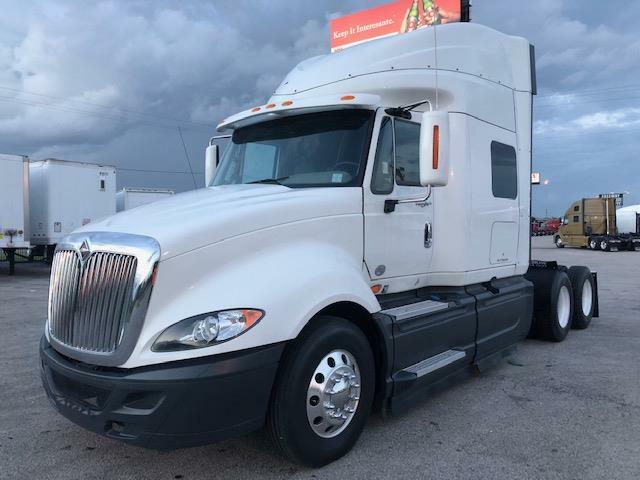 This 2014 International ProStar Eagle is super clean, fuel efficient and has lots of amenities. If you are looking for an affordable truck that will maximize your profits without sacrificing comfort, this truck will do the job. Power windows, power locks, power/heated mirrors, air-ride seats, aluminum wheels, a nice gauge package, and a very roomy 72" raised roof sleeper. Come see for yourself. DOT ready, PM serviced and professionally detailed. 90 Day Confidence+ Power-Train Warranty included. Extended warranty, insurance, 24/7 roadside assistance, and financing available! We say yes when others say no! Call us today and let one of our friendly and knowledgeable sales consultants help you find the equipment you need.